Buses with central locations pickup and drop off all campers on the bus at a central point. 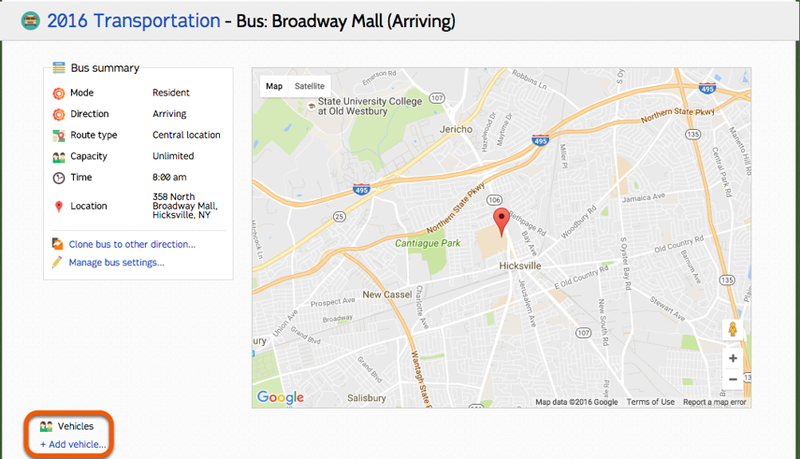 When creating a central location bus, you will be prompted to provide the specific bus and location. Multiple vehicles may pickup or drop-off campers simultaneously at a central location. Click +Add vehicle... to create the specific vehicles in use for the central location. Enter the bus name and capacity. 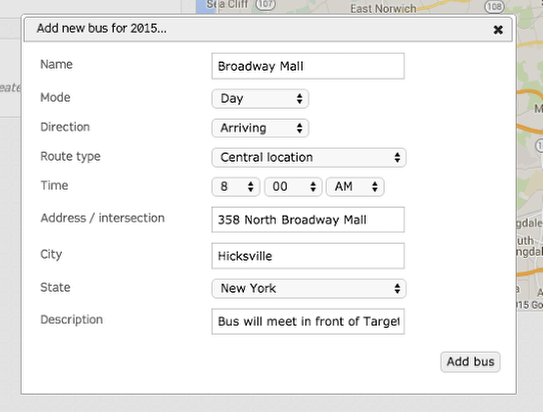 Click Add vehicle to add the bus vehicle to the central location. The vehicle will be added to the central location. Double-click the pencil to rename an existing vehicle or change it's capacity.